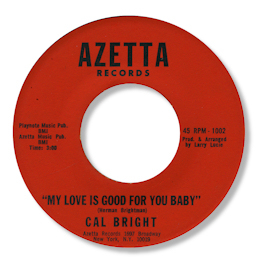 Although his Delores 45 is a bit too twee for me I like both sides of his Azetta single. The bouncy “Got To Get Myself Together” has had a few dance plays but the flip doesn’t appear to have had any attention at all. But My Love Is Good For You Baby is a very listenable downtempo offering with Bright (Herman Brightman?) particularly effective when he coarsens his tone as he does on the lengthy run out groove. 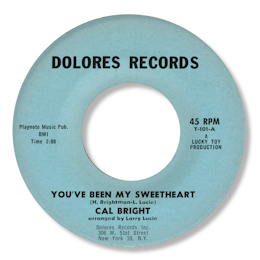 Both Bright’s 45s were recorded under the direction of Larry Lucie – so these are New York sides. Harry Brown’s Azetta 45 is worth keeping an eye out for as well.